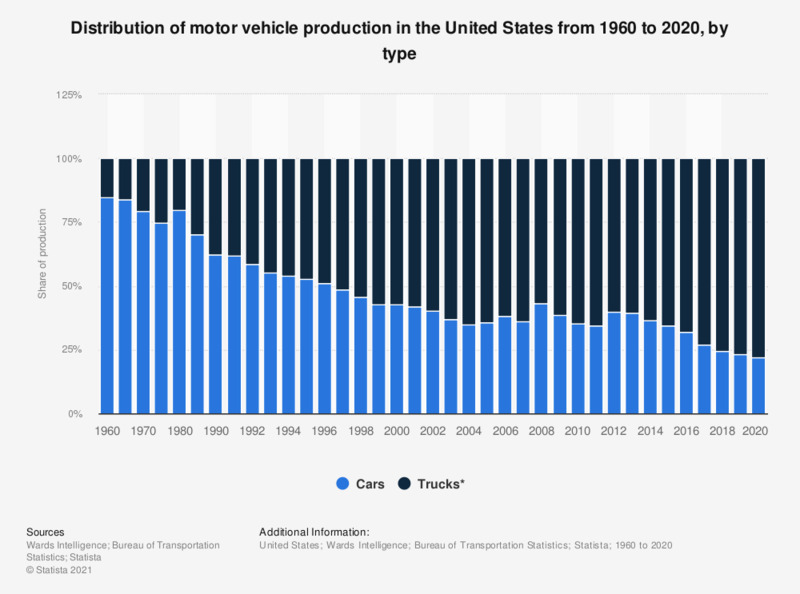 This statistic portrays the production of passenger cars and commercial vehicles in the United States between 1960 and 2016. In 2016, almost our million passenger vehicles were produced in the United States. As a comparison, about 24.4 million passenger cars were produced in China in 2016. * Includes trucks under 10,000 pounds gross vehicle weight rating (GVWR), such as compact and conventional pickups, sport utility vehicles, minivans, and vans, and trucks and buses over 10,000 pounds GVWR. Would you use an autopilot feature in an autonomous vehicle?